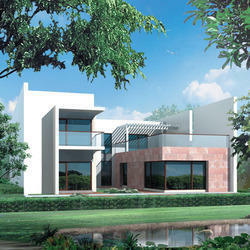 Karma Lake Lands - Service Provider of courtyard villa, terrace villa & pavilion villa in New Delhi, Delhi. Freedom is the essence of happiness. At the Courtyard Villa, you can feel free to be free. See your spirits soar and your happiness spread everywhere in a life without barriers. This place will make you shout from the roof tops "I love my home". 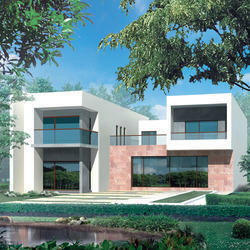 A beauty that'll captivate your senses beyond compare, the Terrace Villa will always make you proud. Ahouse that matches your class and accentuates your style. In short, the Pavillion Villa understands you perfectly. Here, beauty will never cease. When desire blends with perfection, the Portico Villa is born. 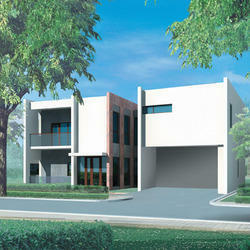 A masterpiece that win approvals and appreciation by the fly, this house is your haven for life. Picture this. You're opening the door to your dream house. The key shines in your hands. The door opens its arms wide, like a warm friend welcomes you. You step in. The air fills you with content. Yet, ripples of excitement make your heart beat faster. You pan this dream house. Absorb its beauty. Spot your favourite corner. Yes, already. Close your eyes. And smile. You've arrived. The feeling equals no other. And at Karma Lakelands, it is five times the feeling. 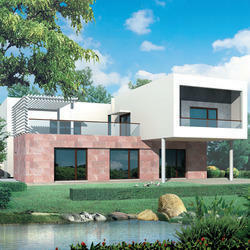 Because we offer 5 villa types, each designed like your dream come true. Ahouse that will send your pulse racing. The Atrium Villa is exotic in every sense of the word. Live here like a king and command envious looks from the lesser mortals.